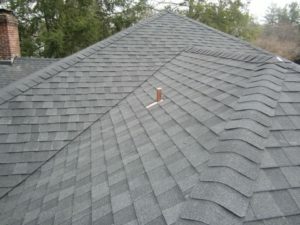 If you would like to have durable shingle roofing installed on your Baltimore, Maryland, area home business by highly experienced professionals, you need only turn to the expert roofers at Roland Slate Service Company. Since 1989, we have provided superior roofing services for countless homeowners in the area, and we would love to add you to our long list of satisfied customers. Are certified by both CertainTeed and GAF, allowing us to offer comprehensive warranties seldom provided by others. You can also rest easy knowing that the shingle roofing products you will receive from us are second to none. Our shingles are built to withstand high winds and resist mold and algae growth, so they maintain their striking beauty for decades. To learn more about the shingle roofing products that we offer, contact Roland Slate Service today. We happily serve customers throughout Baltimore, MD, and surrounding cities, and we also offer financing options to all those who qualify.